The Carrabassett Valley ATV Club was formed in 2010 to pick up trail maintenance and development previously provided by clubs in Kingfield and Stratton. Long-time residents Neal Trask and John McCatherin were asked by Town Manager Dave Cota to create the club to provide local control and responsibility for what was then a 21-mile network of trails. Since that time the club has grown to as many as 50 members and the trail network has expanded to 25 miles. Generous landowners permitting this network include the Penobscot Indian Nation, the Carrabassett Valley Sanitary District, Central Maine Power and the Town of Carrabassett Valley. The Club also works closely with the J.V. Wing Snowmobile Club with whom it shares a number of trails. Using membership funds and state, county and local grants, the club has undertaken annual trail improvement programs with a combined total of nearly $60,000 involving a thousand or more volunteer manpower hours. 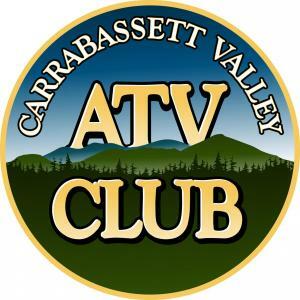 The network continues to join ATV club trails north and south of Carrabassett Valley and is a vital link in the 139-mile Moose Loop connecting seven ATV clubs in northern Franklin County. For more information on the Club and these trails contact President Neal Trask at 235-2732 or [email protected] or Secretary-Treasurer John McCatherin at 207-235-2121 or [email protected].